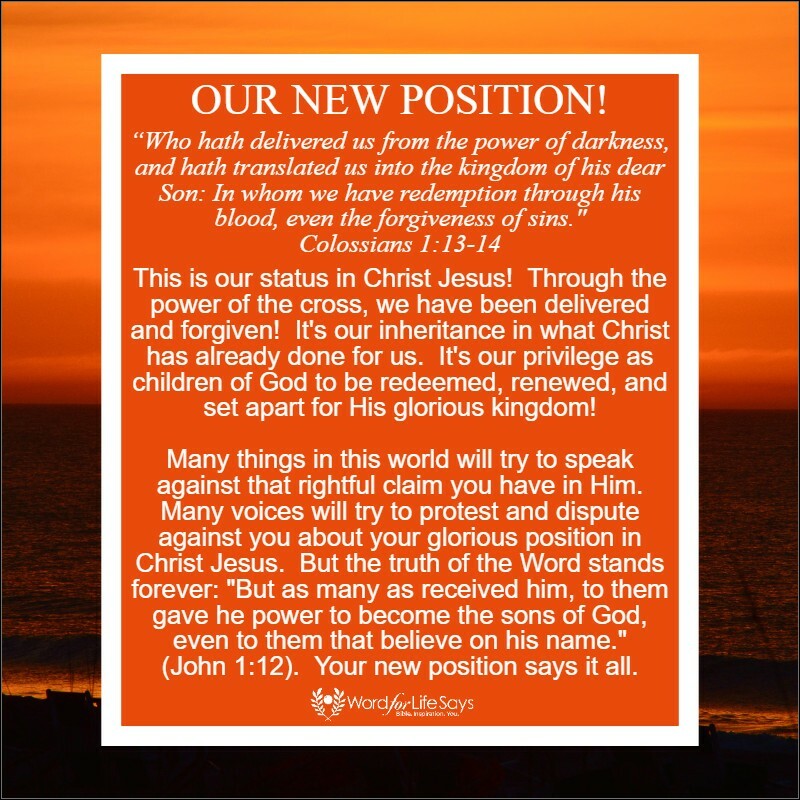 set apart for His glorious kingdom! against that rightful claim you have in Him. (John 1:12). Your new position says it all.